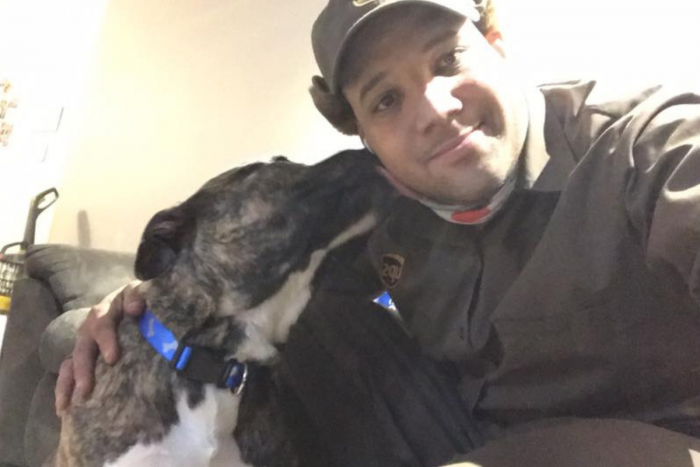 UPS drivers often take the time to interact with dogs during their travels as it sometimes just comes with the territory of the job. 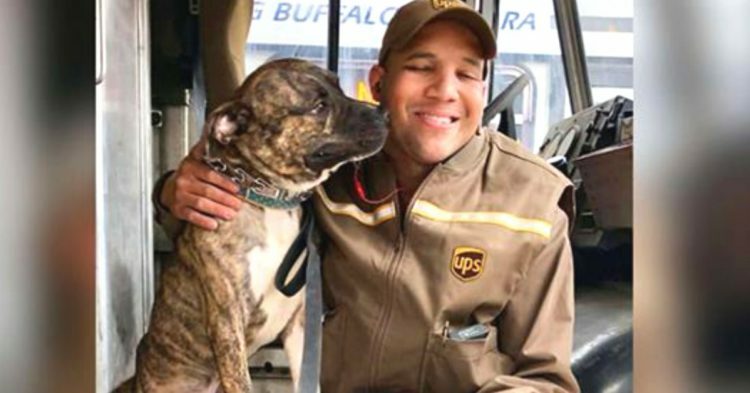 Some drivers even find that they form a bond with pets they encounter, but for New York UPS driver Jason Coronado, he and a pitbull-terrier mix became the best of friends. In fact, you could say that fate played a role in their relationship. Jason was working when his job took him to the Buffalo City Animal Shelter. 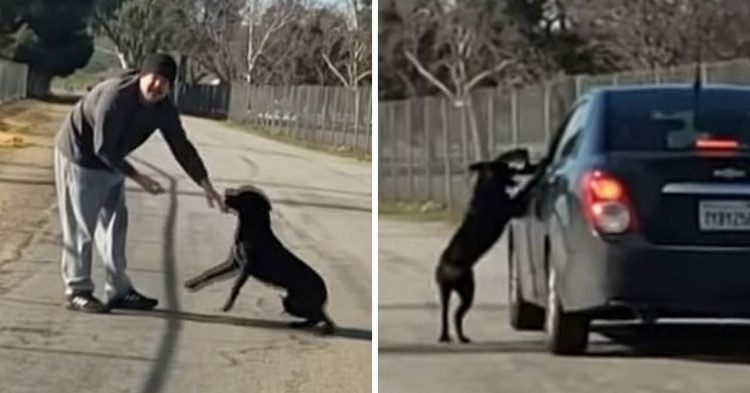 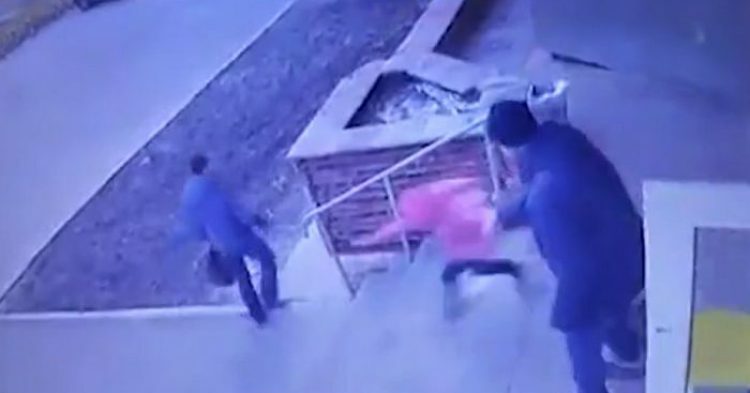 During an outing with a dog walker, the pitbull mix, named Ernie, came up to Jason and then jumped into Jason’s truck, appearing to want to be with him. 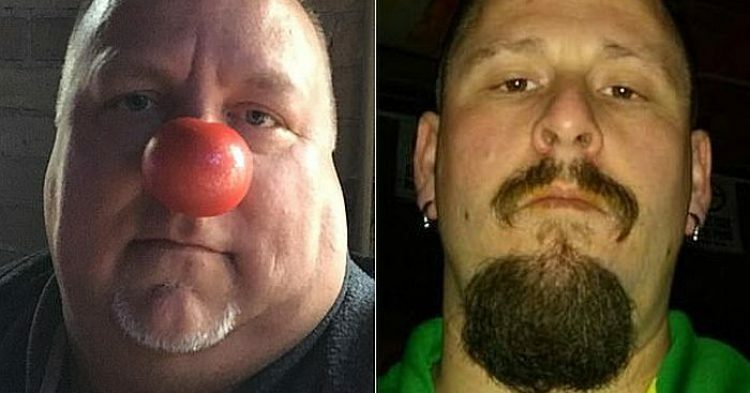 The incident stuck with Jason and, a month later, he checked in on Ernie, who had been waiting to be adopted for several months. 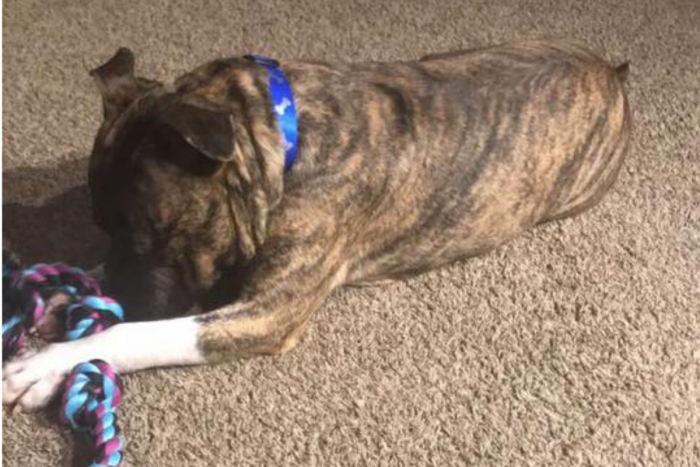 Jason was concerned about the dog finding a forever home and knew he had to take action, so he talked with his family about adopting Ernie. Jason explained in an interview: “He is very joyful. I’m upset I didn’t take him home earlier.” Though he was delayed in adopting the dog, the two were reunited again and Ernie found her forever home. People were moved by Jason taking in the sweet dog, with one person commenting: “There are so many of these precious furbabies just waiting for that special someone to come walking through the door any minute. After all isn’t this ‘Tis The Season’ putting these sweet and adorable souls into a loving forever home now.